The power and reach of social media today has the ability to take everything we do or say, and turn it into “news”. You can stir up a storm by commenting on controversial issues, expressing an opinion, or retweeting, or liking someone else’s tweet or a status update. As India’s leading English news channel, it is not surprising that NDTV has created an entire social media outlook for itself called NDTVSOCIAL. They work primairly on creating engagement, as whenever a reporter is featured on TV, their name and URL is flashed on a ribbon, in a space where previously only the name flashed. Their reporters are building their own personal brands through blogs and Twitter. They also have a Facebook app that lets you stay in the loop with the latest news and views from across the globe. With the number of news channels springing up every day, simply reporting the news is not enough. You have to build the buzz around a story and give people solid reasons as to why they should tune in to “your news”. Times Now seems to be doing a very good job of building the buzz with its Facebook page with links to entire videos, with a good sprinkling of visuals and mostly real time updates. There is syndication between the web and TV channel (another pertinent move), with a general awareness being created about the topic that is under debate on that day’s News Hour in a small 2-3 line status update. 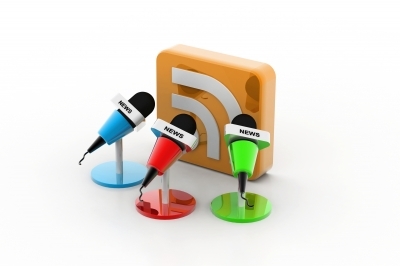 In the news arena, content is king, and engaging content undoubtedly rules. Times Now questions and informs people about what is happening, something that is “in,” as far as social media goes. Just sharing news and updates is not enough to keep people interested. You have to rope them in, and as far as CNN IBN goes, their attempt to do so is noteworthy. Apart from sharing news, the brand poses questions for discussions and posts polls for people to participate in. Similarly, Hindi news Channel Aaj Tak is using debates, polls, issues and news to engage with fans on its Facebook page. Visuals speak volumes, and being the first thing people see when they land on your internet profile, channels are harnessing its power to their advantage. CNN IBN and Times Now are both using images on social media rather effectively. If you thought too much information was better than too little, then think again. Clogging subscribers’ news feeds with too many updates is not the right thing to do. Taking a leaf out of CNN IBN’s approach in this regard makes sense. On an average, the channels update once every one or two hours, thereby maintaining consistency without choking the subscriber’s news feed. Tweets are the right way of getting the message across, and tweets used in conjunction with images and videos can be very effective to engage with audiences. Creative hashtags, like the ones used by Times Now: #BreakingNow, #MorningNow and #WhowillformGovt, also pay off as interactive tools. The target audience today has not one but many facets to it. It comprises people who not only consume content, but also contribute to it, share it, comment on it, and criticize it. The way people consume news today has changed. With more and more people being constantly on the move, looking up the news on mobile devices, sharing it on social networks, and disseminating it with apps has become a way of life. By opting to use social media to cater to their audience, news channels have done what they needed to in the digital era–jumped on to the social media bandwagon, a move made more out of a necessity than anything else. While most channels are using Facebook and Twitter to their advantage, some social media platforms that Indian news channels must consider exploiting are Pinterest and Instagram.